This is one is belated, but let’s do it anyway. So, yeah. That book never arrived (curse you, Abebooks seller – now I need to follow up on that). But I was in the library yesterday to get another piece of Shepard’s on Dylan for next week, and happening to notice this book in among all of his plays and whatnot on the shelves, so I snapped it up. 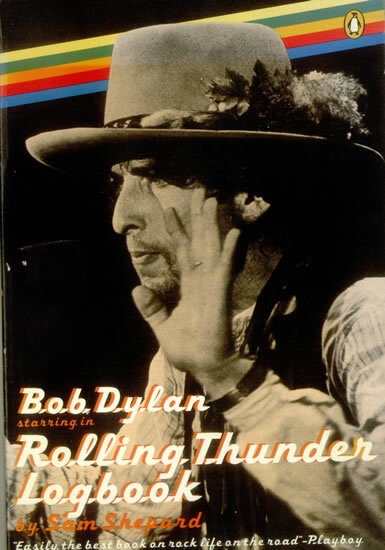 Rolling Thunder Logbook, it’s called, and I read it very quickly – it’s short and well-illustrated. This is a fascinating book, and I will want to get my own copy. Shepard, of course, is an incredible writer and stylist, and he has a bizarre outsider’s take on the Rolling Thunder Revue. His book confirms a lot of what Larry Sloman wrote about – and what Renaldo and Clara depicted – but it is a lot less thorough than Sloman’s book, so it is probably better that I read it second. It’s funny, because Sloman’s book really is the outsider’s perspective (he wasn’t officially a part of the tour, so had limited access, while Shepard was and so had great access), but Shepard just sees things so differently from the rest that it comes across as a very alienated book. 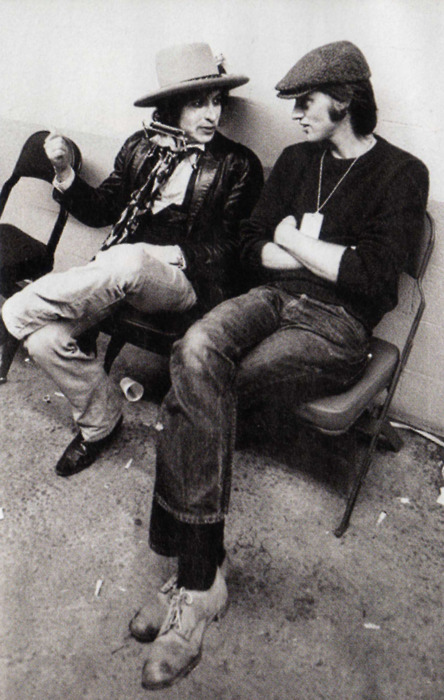 On Sloman, Shepard writes: “If Dylan ever wondered how far a fan would go to get tight with him, he’s looking at it in the flesh”. Shepard is a great prose stylist, but these insights into Dylan seem to be something more than style. For half a year now I’ve been thinking that there will be a moment when I “get” Dylan, possibly because I’ve had similar moments about other subjects of my own writing, where suddenly pieces fall into place. Shepard suggests that that is unlikely to happen, and possibly that I shouldn’t want it to happen. He seems like a sage man, and I may have to go with his advice. “Use it as an adventure”, Shepard writes of the invented thing. Of the invented Dylan. The book ends with Dylan and Sara and some other members of his entourage going to see the American version of Shepard’s play “The Geography of a Horse Dreamer” in New York. It’s off-Broadway and directed by Jacques Levy, who co-wrote many of the songs on Desire. A circle is being closed. 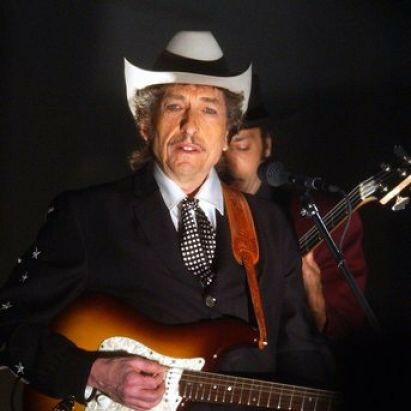 Shepard describes it as a nightmare, a stony crowd of press people and Dylan taking notes, getting drunk, and, finally, lashing out at the stage. I don’t know if this happened or it didn’t happen – I think it is somewhat vague in the book – but it is a harrowing final chapter to a harrowing tour. Shepard has seen something in Dylan and understood something in him, and he has to flee from it. The most interesting thing is that he also comes back. But that is for later this week.